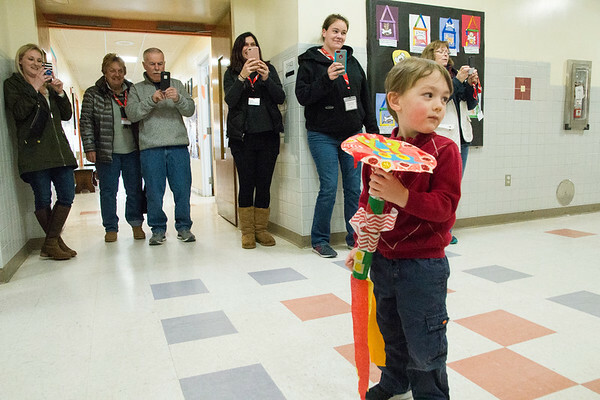 JIM VAIKNORAS/Staff photo Connor Borgatti leads his classmates in a Dragon Parade past a gauntlet of cell phone wielding family members during a Chinese New Year celebration at Newbury Elementary School Friday. Connor is a student is Mary Jo Lagana's pre-school class. Along with the parade the kids sang songs and eat rice balls, noodles and fruit.